Hopefully yours, Connie: Infertility: My Best Friend Is Pregnant! Infertility: My Best Friend Is Pregnant! If you have been trying for months (or years) to get pregnant, the news of anyone you know having achieved this triumph can be a real bummer. But when the news comes that your best friend is the mother-to-be, there are lots of emotional issues for both of you. Was hers a planned pregnancy?Did you hear the news from her directly? 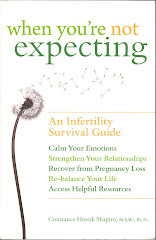 How open have you been with her about your struggles with infertility? Is she sensitive to your emotions upon hearing her news? All of these issues will play a part in how your friendship continues to unfold in the coming months. If hers is an unplanned pregnancy, your friend may confide in you as she makes future decisions. Not only will it feel difficult for her to confide her ambivalence about this pregnancy, it may be just as difficult for you to empathize with her at a time that becoming pregnant is at the top of your wish list, without an ounce of ambivalence on your part. Should she decide to terminate the pregnancy, your feelings will be even more painful. You know at one level you should reach out and offer emotional comfort, but where are you going to find comfort for yourself? It is emotionally complex to watch this friend end a pregnancy because she assumes that when she is more ready for parenthood her body will be ready as well. Her decision to end the pregnancy may be one time that you will probably need to offer her whatever comfort you can muster and then turn to others in your life for solace and understanding. If, instead, her decision is to continue the pregnancy, then you and she face a new set of relationship issues as she seeks to resolve her ambivalence and you seek to keep your envy at bay. So, let's go back to the beginning and explore how you first heard the news. If it was not from your friend but, instead, from a mutual acquaintance, you have every reason to ask her why, as her best friend, you were not among the first to know. Even as you ask, you already know the answer. She could not bear to see the pain in your eyes, hear the catch in your voice, wonder about the genuineness of your hug. So now is the time that both of you must talk about how her pregnancy might affect your relationship, what your hopes and fears are, and how you can keep your communication as open as possible while both of you are treading unexplored territory in keeping your friendship alive. If you heard the news of her pregnancy directly from your friend, how did she share her news and what was your reaction? If you knew she was trying to become pregnant you had probably already rehearsed a few phrases in anticipation of her news. She, on the other hand, also probably had done her share of rehearsing before breaking this news to you. If you had not known that she was trying, then the news will likely have taken you by surprise, with many mixed emotions. It is a real challenge to receive ordinarily joyful news when both of you know there is more than a tinge of sadness in you, the recipient. Certainly the sadness is not about wishing her anything but happiness -- but you know already that you will be left behind on this particular happiness journey, and you wonder whether your friendship can be resilient or whether it will crumble or wither under the shadow of your friend's upcoming anticipation of parenthood. And, just as you hope she will have some empathy for your yearning for a pregnancy of your own, it is important to reflect on how familiar she has been with your infertility struggles. Many couples grappling with infertility agree to be fairly discreet with friends and loved ones, preferring (at least initially) to contend quietly as a couple with sadness, with diagnostic test results, and with treatment decisions and outcomes. Others are far more open, both in terms of emotions and medical details. Your friend's capacity to empathize with you now will be affected by how much you have shared in the past about your own infertility, both its medical aspects and its emotional impact. If you need more empathy than she is offering, this may be the time to be more open with her about what she can do to offer emotional support. Both of you will need to recognize the imbalance you will continue to face, as she is potentially experiencing joy and ambivalence and you are likely feeling envy and envy and more envy. My next blog will focus on how to keep emotionally strong during a friend's pregnancy, along with some tips for how to negotiate expectable pitfalls looming in front of both of you. Stay tuned! I have JUST experienced the same thing. My best friend told me (when asked) if she was pregnant. She replied in the affirmative. Of course I am happy, and responded as such. But I'm jealous. I have been trying for double to length, but I know that I am handicapped due to a massive ovarian tumour that broke all records. I needed the ovarian removed. I awoke to that news. Since then the doctor has told me that the viable ovary has a limited time and that I need to get started. Oh really??!!! So yes, I know I'm not in a competition with my bestie. And of course I'm ecstatic and relieved for HER. But I'm sad. And my husband doesn't understand. He assumes we'll be fine! Why am I sad? Because we won't be fine. And everyone around us is pregnant. And now my best friend is. Obviously, I cannot wait for your next blog. lol. Infertility and Halloween: Cheers? Jeers? Tears?